I'm an artificial intelligence engineer at Beehive AI. Before that I was a PhD student at Stanford. Some projects and selected publications can be found below. A few projects I've worked on for fun and for Stanford classes like natural language processing with deep learning and convolutional neural networks for visual recognition. Read through OpenAI's spinning up materials and was inspired to implement some algorithms myself. This gif is the 'HalfCheetah-v2' environment. I trained a proximal policy optimization agent to make it run. Built from scratch a little python package for using reinforcement learning to find the optimal strategy on blackjack. The gif to the left shows how the randomly- initialized optimal strategy evolves as the agent trains over more episodes. Trained a convolution neural network for the task of recoginizing digits from the MNIST dataset. Deployed this network using tensorflow.js, so the network actually runs in your browser! (And saves the server costs of hosting it :)). Built a little webapp so you can write a digit in the box and get the network's prediction. 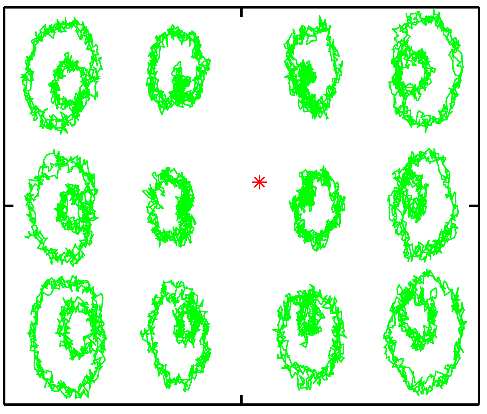 Tuned the network's hyperparameters using the implementation of bayesian optimization from skopt. 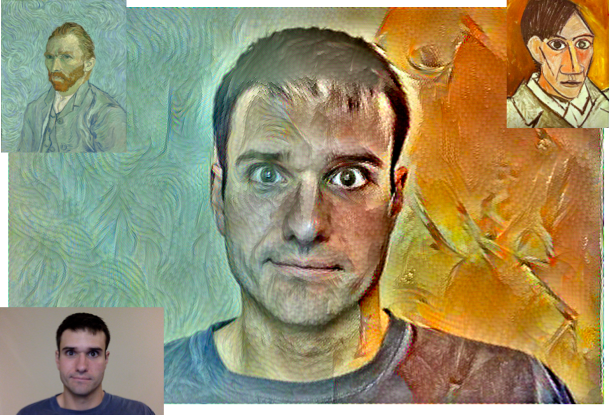 Implemented an algorithm for neural style transfer which takes in one or more "style" images (usually paintings) and a "content" image (usually a photograph) and renders the content image in the "style" of the style image. Inspired by the work of Gatys et al, my implementation allows for spatial control of blending multiple styles, allowing for smooth transitions from one style to another. See some examples here. 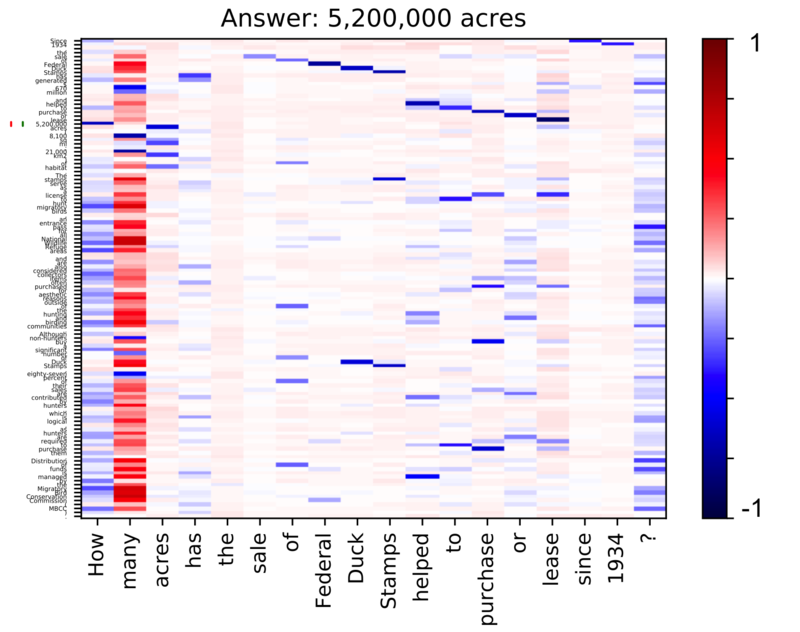 Designed a deep learning model which takes in a paragraph from wikipedia and then answers a question based on that paragraph. Trained on the SQuAD dataset. My poster was recognized as outstanding by the course staff. Check out some example answers produced by the model here . We created a model for predicting how a member of congress would vote not based on their voting history, but on their party and their campaign contributions. 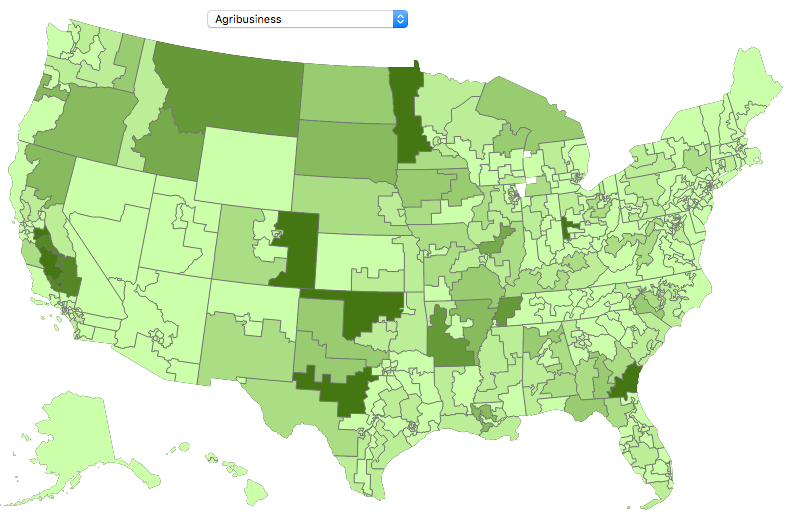 Check out the interactive visualization which shows funding by district and economic sector. I did my PhD in the physics department at Stanford. Under my advisor, David Reis, I studied atomic motion in solids using the Linac Coherent Light Source. The Linac Coherent Light Source (LCLS) is the first x-ray source of its kind, providing a combination of atomic-scale wavelengths, temporally-short pulses, and high-flux. 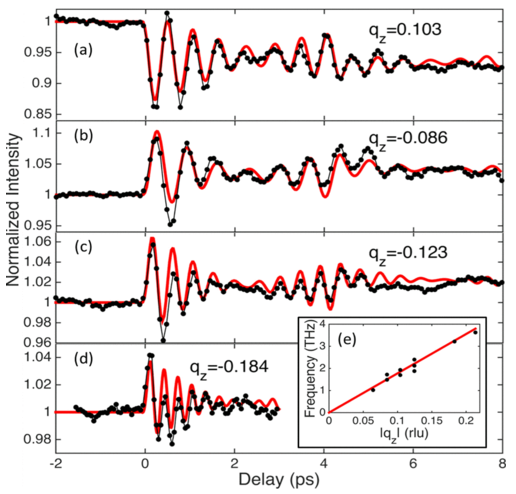 This allows for previously impossible time-domain measurements of phonons. My collaborators and I demonstrated techinques that not only allow for measurement of phonon dispersions and lifetimes, but momentum-resolved phonon-phonon coupling. 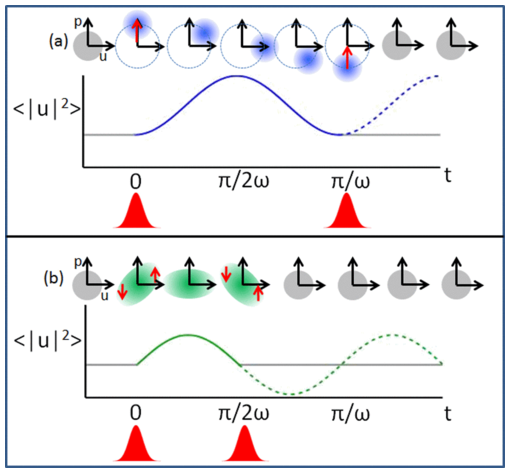 We showed that in Fourier-Transfor Inelastic X-ray Scattering (FTIXS) measurements on high-quality crystals, the pump laser couples to high-wavevector phonons primarily through second-order processes. We were able to make time-resolved measurements of acoustic phonons with frequencies up to 3.5 THz in iron using LCLS. I spent a year at Delft Institute of Technology (TUDelft) as a Fulbright Scholar doing biophysics research in the lab of Cees Dekker. We demonstrated ways of parallelizing single-molecule measurements with magnetic tweezers, allowing for simultaneous measurement of hundreds of molecules instead of just a few. 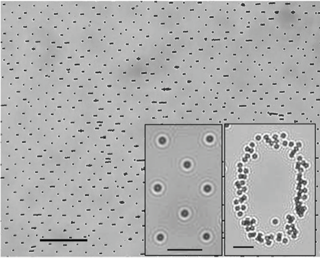 Patterning tether sites of the DNA strands allowed for furter improvement in parallelization capacity. I did my bachelors at The Ohio State University where I was advised by Prof Sooryakumar. I majored in engineering physics with a focus in electrical engineering. We demonstrated a magnetically controlled microfluidic pump. 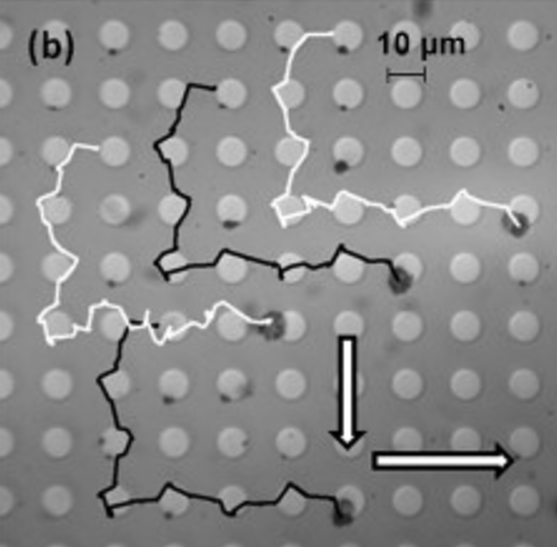 The pump consisted of a magnetic microsphere trapped by the magnetic field gradient produced by a patterned paramagnetic film on the floor of the microchannel. Time-varying magnetic fields positioned and spun the microsphere, activating the pump. 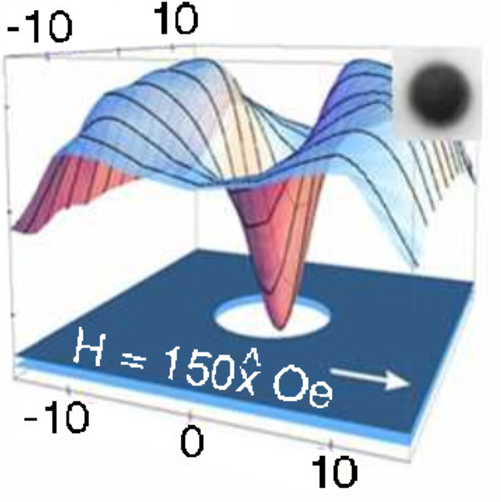 Using patterned paramagnetic disks of micron scale diameter and 10s of nm thickness and externally applied weak (~10's of Oe) magnetic fields, we could control the position of magnetic microspheres on a lab-on-chip device.